First-year medical students worked together in small groups to apply material they had previously learned in the classroom to new case studies and to reflect on their strengths and weaknesses during their first Synthesis and Application Module. 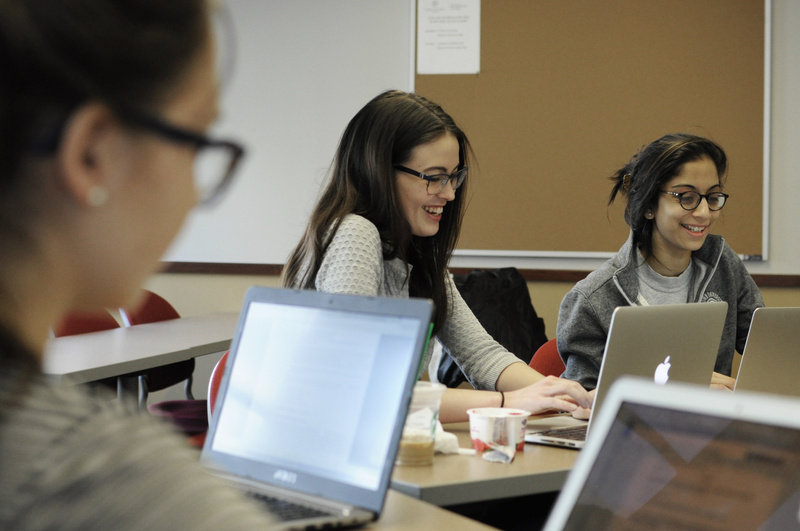 During their first Synthesis and Application Module (SAM), first-year medical students working in small groups delved into a case study focusing on the pathogenesis, diagnosis and management of care for patients with HIV infections. 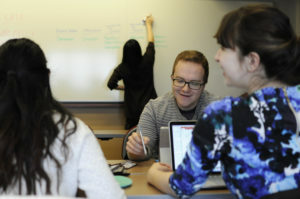 Organized to coincide with World AIDS Day on December 1, these student-run groups met for two-hour sessions over the course of three days to integrate and apply material they’ve learned previously in new contexts. HIV is a complex multi-organ infectious disease, requiring basic knowledge in genetics, molecular biology, virology, microbiology, pharmacology and immunology, and therefore connects most of the topics students learn in their Foundations module during the first few months of medical school, said Chad Achenbach, ’02 MD, ’02 MPH, assistant professor of Medicine in the Division of Infectious Diseases and course director for the SAM. Information reviewed throughout the week’s coursework included: the innate and adaptive immune system; genetic susceptibility to infections; viral, bacterial and fungal lifecycles and mechanisms of antimicrobial treatment; and signs and symptoms of acute and chronic infections. During the various SAM learning sessions, medical students reviewed topics relating to the pathogenesis of HIV infections, which coincided with World AIDS Day on December 1. In addition to the case-based learning sessions, students also participated in two advocacy, policy and ethics (APE) sessions examining and discussing current issues in the U.S. and globally. Other activities in the module included the viewing of “How to Survive a Plague,” a documentary about the early years of the AIDS epidemic, and clinical skills sessions where students practiced communication skills with standardized patients.